The tool is designed to match loadable families rotation. 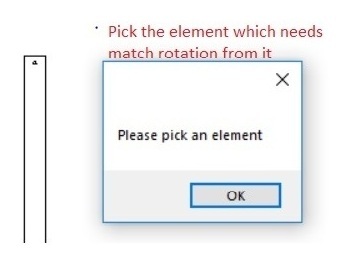 This tool will enable you to match element rotation in more than one element at once. The tool will work for loadable family only in this version and it will include all elements in later releases. Match Rotation is brought to you by BIM SOFT SOLUTIONS. It's priced at US $2.99/month or $4.99/year. This add-in is compatible with Revit 2019. What is Revit Lookup, and Where Can I Get It?